Mafia III, due out later this year on consoles and PC, has a few interesting things going for it. It’s a crime story set in a fictionalized version of 1960s New Orleans. It has a black protagonist. Here’s a less obvious distinctive trait: its open world can be changed. You don’t see a lot of change in the many open worlds we can explore in video games. The cities of Assassin’s Creed or The Division are more or less static, no matter what mayhem you wreak as you play. The main characters don’t change much either. Due mostly to the open-ended way players can approach side missions, your protagonist in a Watch Dogs or a Batman Arkham game almost always has to exhibit an approachable, unchanging blandness. Even the masterfully detailed Grand Theft Auto V doesn’t leave an imprint of your character’s actions in its game world. In open world games, status quo is the status quo. There have been open-world games that have tried to let you alter them. GTA San Andreas let you buy property and claim turf. The original Crackdown let you take out crime bosses in any order you chose and would alter the world to reflect the absence of whichever boss you took out (say, if you took out the gunrunner, the grunt enemies in the game would wind up wielding inferior weapons). Assassin’s Creed games have let you refurbish storefronts in the various historical cities you’ve explored. But technology and design have largely forced open world games to be unmalleable. You can chop down a lot of the trees in the next Zelda, for example, but when I asked the developers what would happen if I returned later, they told me that the trees would be back. It’s therefore refreshing to hear how Mafia III will allow for some flux in its open world. The buildings can’t be knocked down. It’s nothing like that. And it’s still going to be a largely story-driven game that sees its protagonist Lincoln Clay tangle with the mafia of New Bordeaux. Mafia III will, however, also let players tinker with the organized crime structure of that city and make choices that influence the options available to them in the city and the relationships they have with some key characters, who can even flip from being allies to enemies if the player pushes them. 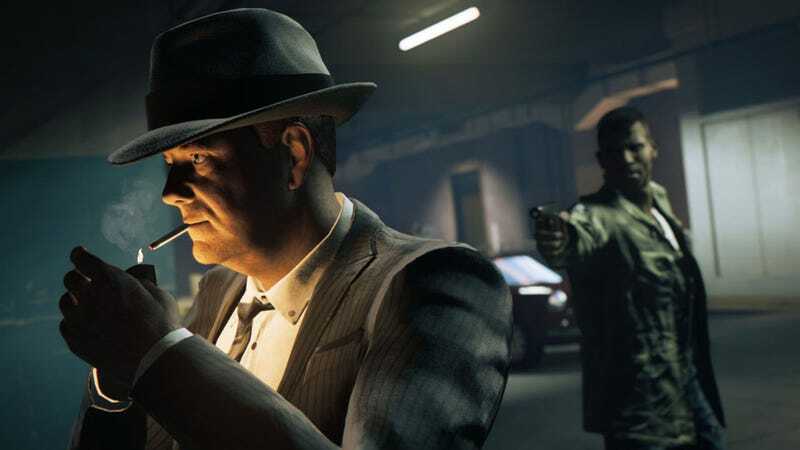 As they proceed, Mafia III players will be able to take over various rackets and regions of the city and then divvy them up among three underbosses: two of whom (Cassandra and Burke) are new and one of whom (Vito) was Mafia II’s protagonist. This will often happen in scenes that depict sitdowns among members of Clay’s growing criminal enterprise. Players will be able to give a racket to one of their underbosses, usually gaining a benefit from one while developing acrimony with the others. Give the drug racket in the French quarter to Vito, for example, and he’ll wind up being able to offer better hit squads to back you up during gunfights. Just bear in mind that it’ll piss the other two off. Above: The game’s E3 2016 demo. Jump to 18:35 to see the sitdown with the underbosses. The player can dole out newly conquered turf to one of the underbosses, as well, usually at the risk of angering the other two lieutenants. In a demo of the game at E3, for example, the developers first showed Clay shooting his way through a riverboat and killing a mob guy in the swamp. They then showed him sitting down with the underbosses to decide who’d get that guy’s part of the city. Each underboss offered perks. Each made an argument. The player was free to decide. In the demo, they gave it to Vito, which infuriated Burke. It angered him so much that he actually left the crew, went rogue and became an added enemy boss in the game. The player could now treat Burke’s turf as enemy territory and attack in a mission that generated on the fly. This kind of system doesn’t mean that Mafia III’s open world is some sort of endlessly tweakable chemistry set. It does at least give players the chance to see ramifications for at least some of their actions in an open world game. That’s a refreshing concept, one that other open world games will hopefully continue to explore and expand upon.